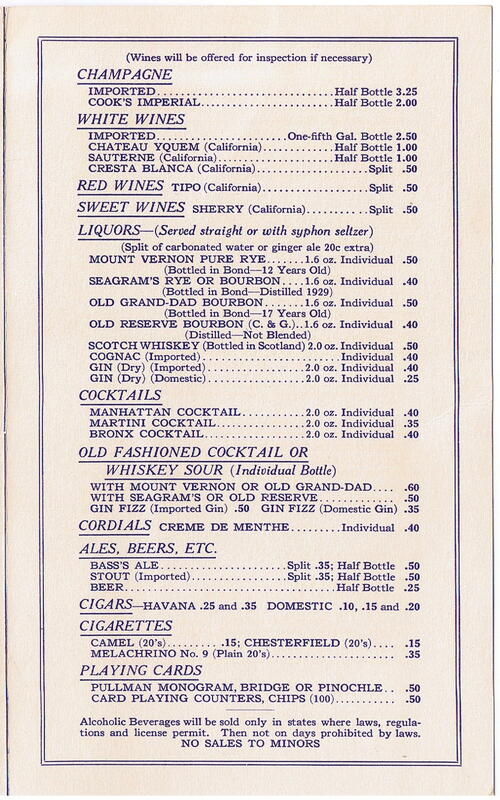 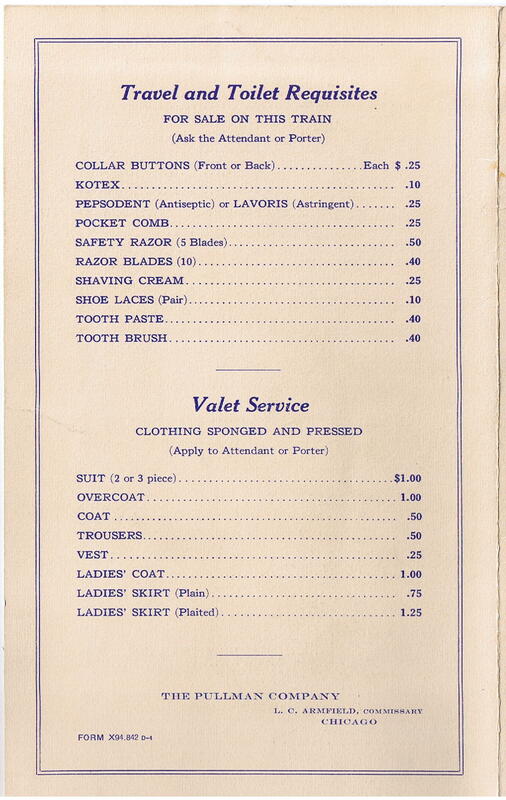 Description Nice Pullman Lounge and Club Car Fountain Service from 1934. 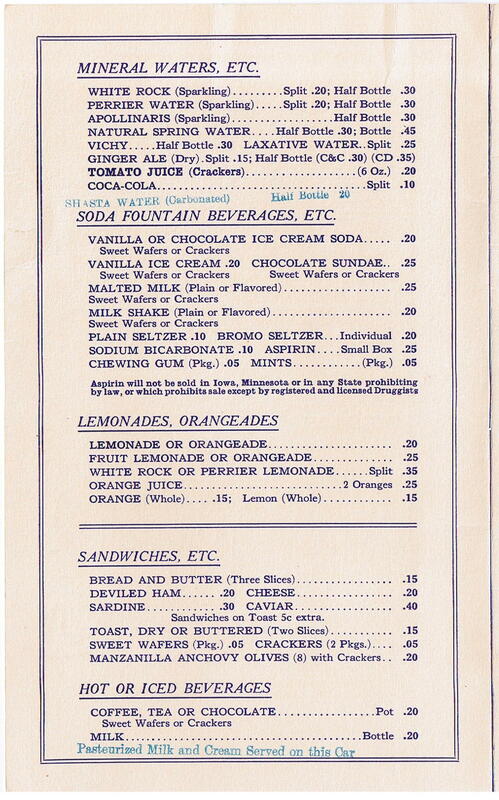 No indication from the code on which railroad or train this menu was used. 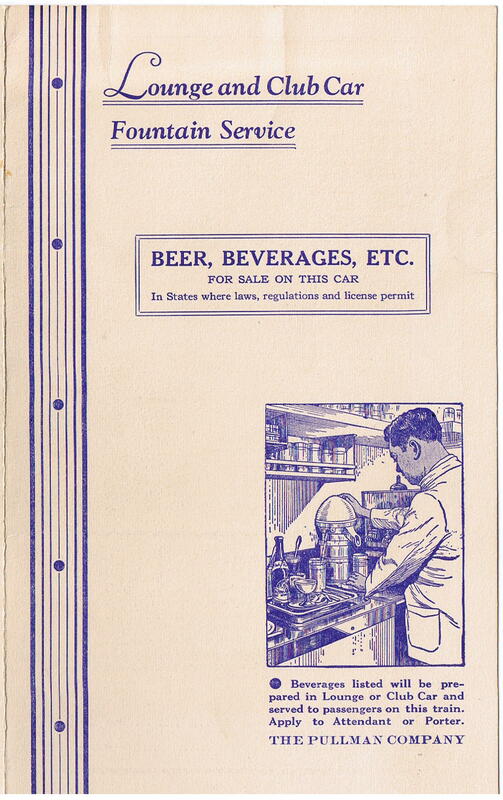 Menus in this condition are very hard to find, especially from this time period.